This is my most recent. Everyone who knows me knows I’m a huge anglophile. Sadly, the paper isn’t great and the fancy B bled a bit. The quality of my engrosser’s script decreases wildly when I have to write on unlined paper without a proper model to look at. And both lion and unicorn look a bit girlie (not to mention the lion’s fancy red toenails). Alas. At least the sunset is properly dramatic. One dark curl falling errantly. Perhaps three buttons undone down the front of an gaspingly tight aubergine shirt. Four, four, for… ah, forgive this mathematician who will just advance to n.
A million fans or more adore adore, adore. Is there a single thing I can say to you that hasn’t been said before? Weren’t you recently a dragon? Sounds like we were meant to be. So come to me and let’s fly, let’s fly away. This is a secondhand story about an Englishman I wish I could meet. I don’t remember his name, so we’ll just call him Harry. One night, my friend Haviland (who told me these stories about Harry) was at an ambassador’s ball when a strange looking woman showed up. She was dressed impeccably, from jewels and fur to heels, but there was something slightly off about her makeup. Haviland didn’t recognize her at first, but once she spoke, he realised that she was actually Harry. He wasn’t a cross-dresser or a transvestite or gay or crazy. He just thought it would be more amusing that way. All of his friends played along and it made the entire evening more entertaining for everyone who knew Harry’s secret. I wish I knew people like that. Do not let the desperate pleas of this (ex-)colony go unheeded! I know that we had a bit of a spat in the 18th century, and I deeply regret those circumstances. However, I am happy to put that all behind us if you’ll only just consider taking us back. We will be the best colony ever, I promise. We will pay taxes, we will drink tea, we will spell things like colour and honour and realise correctly, and no, by no means will we ever, ever pull a stunt like the one in Boston again. Never ever. I promise. You were right that we did not deserve to be represented in government. We still don’t, if the current state of our government is any indication. Elected officials who don’t believe in evolution and climate. A congress that can’t agree on a budget. Health care that leads in costs but lags in results. Laxity with guns that’s resulted in more deaths than all of our wars combined. Indeed, I am fully admitting our stupidity. 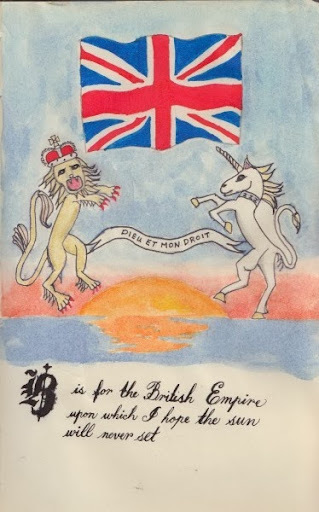 We are helpless, but we could help make the British Empire glorious quite large once again! Guide us, please. A/N: This drabble was inspired by Handel’s gorgeous aria, Ombra Mai Fu. It is meant to convey a feeling that we all get one day, when we’re grown up but wish that we weren’t. He needed this. It felt as if the entire world and its expecations were crushing in on him at once. Oxford was his childhood home, but he hadn’t been back in years. As he wandered the wooded paths on the outskirts of town, he waited for the familiarity to comfort him. He had grown up here, played in these woods as a child. Made friends of wayward cows from nearby farms. Pretended to be a knight, and then a dragon, then a knight again. All of that was gone from him now. On and on he walked, through raspberry fields, along the murmuring Thames, willing that same peace to return. Those golden days he spent as a child, letting the long summer days and his imagination lead him. His heart desperately wished to return to that simplicity, and if there were anywhere he could achieve it, it was in these woods. The sun began to set and he realised that though the surroundings had barely changed, he had. The pleasures of an endless, empty day for him to fill with adventures was no longer within reach. His sense of wonder had faded to grey, and he was just tired. Tired of responsibility, tired of keeping up an image. Tired of the can’ts and shouldn’ts and ought to’s. But there was nothing to be done but return to his regular life, aching with the memory of the idyllic childhood dreamland he could no longer seem to find his way back to. I want to be friends with him again, but his name is too common, so I have had a hard time finding him. Given up, really. He’s still a story though. 2. On his wall in his dorm room, he had a picture of himself dressed up as a ballerina. For a play. Probably because he went to an all boys school like Eton or Harrow. 4. His parents came all the way from England to take him to dinner on his 21st birthday. When I saw him afterwards, he had a golden signet ring with his family crest on his pinkie finger. I didn’t make the mistake, that time, of saying it was sweet. He wore it, always. Well, if you know William S. Harvey, let him know he has an old friend who still thinks fondly of him.